King Crimson performed Heroes at the Admiralspalast in Berlin as a celebration, a remembrance & an homage. The concert was thirty-nine years and one month after the original sessions at the Hansa Tonstudio overlooking the Berlin Wall. This is released in the Fortieth Anniversary year. Wednesday 22nd. February, 2017; DGM HQ, Wiltshire, England. DGM and Panegyric are proud to present for pre-order, King Crimson’s Heroes EP – recorded live on the European tour of 2016. The title track sees Robert Fripp reprise the unforgettable guitar role he created for the original David Bowie studio recording in the same city in 1977, particularly poignant in the year of Bowie’s death. Also featured on the EP are a ten minutes recording of Easy Money (Paris), a song that varies in length and solos from night to night and is always a fan favourite, an edited version (featuring the “song section”) of Crim Classic Starless often a set closer, always a stand-out moment and a recording of the three drummers’ showpiece The Hell Hounds of Krim (both from Vienna) – all previously unreleased live recordings. A full live album, recorded on the 2016 European tour will be issued in September 2017. Prominent Iranian artist Siavash Amini continues a triptych of works with ‘Subsiding’, an album of instrumental ambient drone. 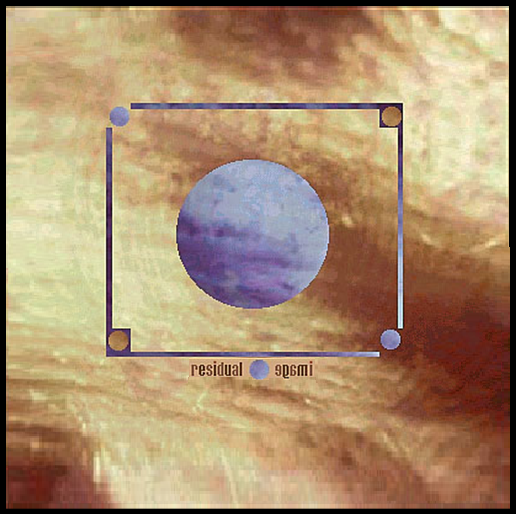 His most full and detailed sound to date illustrates Amini’s ability to bring together modern classical composition with that of controlled noise, granular synthesis, and atmospheric soundscape. Both monolithic and micro sound sculptures coexist within a perfect balance, a mix which makes for an all encompassing listen across the audio spectrum, funereal yet uplifting. Complete with striking cover photography by Alex Kozobolis, “Subsiding” will be available on glass-mastered CD in digipack sleeves (run of 200) and digital formats. An antique, experimental mix of mine…from 2003; painstakingly restored on a digital cutting board. I ripped the .wav files from a CD-R, imported them into Audacity & began re-segueing the tracks [Zoom in, Fade-in/Fade-out, Zoom out]. For this collaboration, sound artists Richard Chartier and Taylor Deupree were invited by the Hirshhorn Museum and Sculpture Garden, Washington, DC, to create a new live work inspired by the Seascapes series of renowned Japanese photographer Hiroshi Sugimoto on the occasion of his retrospective exhibition. The result is this live recording, Specification.Fifteen. This work premiered on March 30, 2006 in front of the curved panoramic window of the Museum’s Lerner Room as the sun set across the city’s skyline. Specification.Fifteen evokes the stillness and opposing yet related spaces of Sugimoto’s Seascapes, which suggest infinitesimal change and variation under a seemingly uniform surface. Water and air. So very commonplace are these substances, they hardly attract attention, and yet they vouchsafe our very existence. Mystery of mysteries, water and air are right there before us in the sea. Every time I view the sea, I feel a calming sense of security, as if visiting my ancestral home; I embark on a voyage of seeing. Fractal shards and crystalline clouds. Troubled, yet calm. An incantation to transform the luminous darkness. 16-17 January 2017 at Soundscape, Mountain View. Markus Reuter: Touch Guitar, Sequential P6, looping/feedback network. Robert Rich: Acoustic piano, post-processing and additions. Here’s a new (to me, they’ve been laboring @ the #Ambient genre for 17 years with 90+ editions!) & impressive netlabel, L-NE (sound art editions). I’m just getting to know their catalog, but have already used one of the artists (triac album | interview) in an upcoming mix. A sense of wonder develops when one realizes one is listening to one of the year’s best albums. This takes a while to solidify ~ first impressions are hard to trust ~ but by the tenth play or so, it solidifies. While I’ve lost track of how many times I’ve played Recurrence, I’ve retained that sense of wonder. Jazz & Ether-Jazz…and a [semi] return to the roots (more Jazz than Ether) of the ‘elements’ series & a look at Jazz as an ethereal/audiological force. Calling on some favorite, traditional artists (Miles Davis, Christian McBride, Sun Ra, Jan Garberek, Nik Bärtsch), some newer acquisitions (Arve Hendiksen, Teruyuki Nobuchika, the Anat Forte Trio), as well as some curves (Reto Bieri, Oene Van Geel & I-Ching), the goal was to craft a listenable & enjoyable, Jazz-oriented mix. An aural Jazz tapestry! Tracks 2, 3 & 4 comprise a mix within a mix; with Takemitsu’s composition straddling the Metheny & Van Geel pieces. Following his enthusiastic interest in experimental electronic and progressive music as a young man in California in the 1970s, Steve Roach now stands as one of the core figures in the open-ended field. His daunting, astonishingly rich catalog of albums, covering solo work as well as a multitude of collaborations, ranges from cold, grim sequencer voyages through blackest space to warm, bright evocations of vast landscapes, often inspired by the Arizona desert where he and his family have made their home for decades. While his landmark 1984 release Structures from Silence has received due praise in recent years, any number of other releases deserve recognition. His one-off collaboration with guitarist Roger King, 1998’s Dust to Dust, captures an eerily beautiful sensibility of the high desert, while the multi-volume Immersion series from the mid-2000s explores a series of detailed and sublime compositions measuring hours in length. A contrast can be found in 2012’s Back To Life, which is just as immersive but likewise feels free and open, a movement through space as much as time. In February 2017, Roach released his latest effort, The Passing, an hour-long composition that was completed and made public on his 62nd birthday. In this career-spanning interview, Roach discusses his creative background and writing process, questions of time and language that persist in his work and advice for younger artists in the field. If we could start with the creative impulse – what, where and when was your first sense of a particular creative or artistic accomplishment that you did in any field? Before music I was drawn towards using my hands and painting, some sculpting and working with material. The compulsion to make something from nothing, I would say when I was a young teenager, became really at the forefront for me in terms of what I was drawn towards. I was starting to paint on my own and work with that kind of spontaneous expression with color and shape and form, in a nontraditional, completely freeform environment. I wasn’t taking classes or being instructed by anyone, I was just following these inner impulses to create something expressive. At that time, I would say it was quite connected to a lot of time I was spending in the desert areas of Southern California, out beyond San Diego and the Anza-Borrego desert. There was something there that really opened up doors for me of this kind of space and this kind of creative process that seemed almost like a birthright, like something I was discovering through that process of doing it. Certainly early music from the early days inspired me – the early progressive music, the early music from the Berlin school, Klaus Schulze and Tangerine Dream and early electronic music, Pink Floyd of course. The longer tracks, and tracks that had no vocals and were more what you would think of as sound paintings at that time, were already lighting me up in those ways. [That was] setting the stage for when I then would first find an affordable portable synthesizer in the late ’70s. That would have been the ARP 2600, the first full-blown synthesizer that I saw in a local store, and combined with hearing the music from Europe, that whole progression became so powerful, so appealing and almost compulsive that I had to have it – to start shifting that sense of painting and shaping and working from abstract forms into forms that seemed more architectural, but formed and shaped in a way that I was almost tasting and seeing in visual form. I had a lot of the aspects of the arts from a painting and sculpting state of mind, but sound – once I got my hands on those instruments, it was like I already knew the process. I had this sense of, “I know how to do this.” So I continued through my own process of teaching myself how to work with it, just a classic woodshedding story where you lock yourself in your little space for as many hours of the day or night that you could. You’ve spoken in other interviews in some detail about tactile creation via your chosen instruments. Could you say a little more about the sense of physical approach and how you contrast it with what might be less fulfilling approaches? It’s interesting, because I was just looking at some soft synth instruments that I was looking to explore, and I’m basically 99.9 percent a hardware instrument composer of electronic music. They have knobs and sliders and there’s a feel to them, they have a whole particular unique combination of aspects to them that you can identify with the same way a guitarist might identify with a Telecaster or a Stratocaster or whatever different guitar you’re drawn to. But beyond all that would be the sound itself, the quality that one synthesizer at that time would make over another. The subtlety and the nuance that comes from the analog synthesizer and the analog experience is something that is the throughline through all of my work that exists all the way up to this morning, when I woke up and was carving sounds out on another hardware synth that I’m exploring and working with right now. That connection to an instrument, where there’s zero latency and you’re not interfacing with what seems like a facsimile of a controller into a computer or something like that – they’re so sophisticated now, I know, and there are so many options there that are off the chart, and there’s a whole universe of comparisons that can be made now. But I tried to do that, and I just keep coming back – the experience of creating just doesn’t have that same kind of engagement and that same kind of flow. It’s just fun. It’s a real experience of just connecting with a synth that’s designed really well, and it has an ergonomic flow, and there’s no screen, and you’re not getting locked into the visual. You can get really lost in visual with the screen tracking everything. Then I find that you start to stop listening or hearing in the same way when you take away that element and you just are working through the sound field, meditating, staring, focusing intently on the space between the speakers with no screen. That’s a powerful place. Just a slight, tiny little adjustment of a few different knobs can make a universe of emotionally engaged difference and perception. I do use the computer for recording and for arranging and for building my pieces; it’s invaluable. I couldn’t imagine not having a workstation for the nonlinear approach to building these worlds that I do. But in that way, I guess the parallel would be if you’re a filmmaker, then you’re out shooting scenes of things that are happening and you’re capturing performances between actors, you’re capturing light shifting in the afternoon with some occurrence that’s happening there, and you’re completely tuned into that as the experience that you’re capturing. That’s how I record so much of my music, is more in that context where you’re capturing a living, breathing experience that’s happening right between your very ears and in front of your eyes, and you’re shaping it and carving upon it at the most subtle level that the analog stuff brings, where just a slight, tiny little adjustment of a few different knobs can make a universe of emotionally engaged difference and perception. So while that’s happening, I’m recording all of this constantly in the studio. A lot of times it’s being recorded as a stereo file. There’ll be maybe 30, 40 tracks up on that board. I have a large analog mixing console to go along with all the different instruments. Then the board itself becomes a palette where the artist mixes his paint. So between the paint-mixing, the levels, the synth, the dialing in and tuning of all these interrelationships between the instruments while they’re running live, then the processing, the reverb, the hands-on aspect of the board itself – I mean, the board is one massive instrument. That’s really another big piece in my music. For the way I have evolved as an electronic music artist and what remains important to me… To start at the top, the list would be just the emotional impact of the sound, and then right there, almost at the same level, is how you’re extracting it, how you’re tuning into it with your body. If your body’s an instrument, which I feel it is for me – it’s one of the first instruments – then the tools, the surgical tools of sonic surgery, just need to be something that I have this relationship that I’ve also built and developed over almost 40 years. So all of those are important things to stay connected to and to not give up. How does the conception of time figure into the limitations of recording technology in this sense? You’ve seen everything from the specific limits in terms of how much music can be presented from vinyl to cassettes to CDs to now the theoretically infinite space online presentation can give you. Is there a constant struggle between where and how to draw the lines, or how to act as an editor of your own work? The dynamic of the listening process, the idea that something is going on too long or not long enough – it’s still completely as vital as ever. Now we have the ability to have basically an eternal space where I can just broadcast it out. Let’s say I’ve set up a station on one of my sites, and I can have music and dronescapes and all that sort of things just going on from here ’til the end of electricity. That’s a world that I really love to live in, this whole immersion world, and the Immersion series I started years ago really grew out of wanting to not leave the sound current. I always connect to this sense that there’s sound running in this current all the time, all around me, and I’m tapping into it, reaching and grabbing a section of it for a while and shaping it and presenting it out into a form that captures a certain limited sense of time. Somehow the CD became a 74 minute medium, and now through different ways of presenting files, compressed or whatnot, you can have things extend for a long time or, like I say, a live broadcast of something running off into infinity. But the idea of composition and the way I work with time, and the way I work with sonic motifs – when I say “motifs” I’m moving beyond what would be a melody or a harmonic chord structure, but it’s something that’s so prevalent in electronic music, these episodes of sound that become signatures, and they can be completely abstract or completely unique to themselves. But there’s still an aesthetic to them that you can connect to and listen to and engage with. At a certain point you have to know when it’s overstayed its welcome, for example, or when something has made the statement and it needs to shift into the next place, or that sometimes something cannot sustain or breathe long enough to let you settle into the space and let your body engage with it. There’s a big piece of the music that emerges from body awareness, and there’s the conscious mind awareness, and then there’s the subtle energy awareness of something that can play forever. I would learn early on I would have certain pieces that would be too short, essentially, and I would hear from listeners that it was too short. “I wanted to hear it for another 45 minutes.” [laughs] And I would agree with that in some cases. But especially in the days when I was moving away from the influences of the European electronic music, I was consciously interested in shortening pieces and making a point and then moving to the next place, and evolving that to where the statement is made within a seven or eight minute space, which would be a shorter time frame when you grew up listening to 30 minute sides of an album. The sustained drone zone music, if you’re fully engaged with it, there’s a whole thing happening down at a molecular level with that stuff, way down inside, where movement and interaction and layers all work together in the way that, when you see large-scale abstract paintings that have a vibration and a frequency, there’s this compelling, magnetic quality to them that pulls you in and lets you experience yourself outside of normal perception and enhances your perception and expands your boundaries of your perception at the same time. The new piece I just released called The Passing came together pretty quickly. I like to release a piece or do a concert or do something to mark that moment in time when I happen to have another birthday, and so this one, through Bandcamp, finishes up the thought with your sense of when something goes on too long, or “what’s the timing on it” or “too short.” It’s this theme I created in the mid-’90s for a compilation, and at that time it just felt so truncated and unrealized. It was really like a sketch that normally I wouldn’t have let out into the world. It had so much energy to it and had this emotional resonance to it that felt like it needed to just completely be allowed to breathe and develop. So it took a lot of years later, but that inspired me a few weeks ago just in terms of the emotion in the piece. Album and song titles, by default, provide a linguistic context to your work that otherwise has no such element, in terms of there not being any lyrics. Do you struggle with the “right” titles for albums or songs, or is it more casual or random or easy than that? I wish it was casual, random and easy. It is that, sometimes. But it’s still having a title that has a very significant and profound connection to the piece. Let’s say I’m working on a piece that’s come through just from the direct experience of all these different influences that are bringing me into the studio and creating the desire to go in this direction or that direction. It can be spontaneous, it can be completely unconnected to what I thought I was going in to do, but ultimately the titles are so important in the music in terms of the reflection that they can shine upon your perception when you hear the title and then you see the cover and then you hear the music, and then those things can work together for me. It’s like a door that has three locks on it, and all three of those locks can have even more impact if those words resonate with the feeling in the music and the cover image is also connected congruently to that. So you think of Structures from Silence, or [1988’s] Dreamtime Return, for example, at a certain point the words will start emerging, shaping and carving the album into shape. If nothing’s come through by the time that I’m at the mastering stage, then I just put full focus on listening, sometimes all afternoon into the evening, and I just keep going deeper and deeper into the place that the music’s taking me without any engagement of technical aspects like EQ or mastering. I’m just listening to it in a way that’s active and stimulating the mythic imagination, let’s say, and letting the music take me to the places that I’m hoping that it takes the listeners to. Then, the details that go in behind the scenes with the mastering and the subtlety that goes on there – I’m really having some great success working with Howard Givens, who owns the Spotted Peccary label with partners. His whole setup is ultra high-end, analog front-end mastering tools. It’s making a big difference for me. I can hear it and I can see it in the response, also. So between Howard and Sam with that end of the production, we’ve got a great team, and I’m just really grateful to be working with those guys at this point. If a younger artist in any field approaches you and asks for advice or even a simple suggestion about what to keep in mind for the future, what would be your response? I would probably first ask them questions about their creative process to get a sense of what it is that they’re drawn to, what they’re aiming to express. Then I would have to ask them if they’re coming to me and they’re interested in what I’m doing, regardless of their age or my age, or just the art form itself. I would share the techniques that we’ve talked about in this interview thus far, and I would talk about their connection to yourself as a person before you approach any instrument or any tool. It’s just getting your intention and your clarity and getting a wide view of what it is you’re wanting to express. Even if you don’t quite understand it enough to articulate it with words, finding that emotional landscape to draw from, and then trying to stay connected to what really feels right for you, for the artist, rather than being seduced by all the newest, most recent innovations in technology or the flavor-of-the-month stuff. I know it’s quite affordable, and you can build a whole studio’s worth of material inside of a MacBook Pro, but it doesn’t take much to bring in a few hardware pieces that just give you that hands-on subtlety. Really listen and draw from the things that inspire you. It could be musically or non-musically, but find the pulse inside of that. I just also remind younger listeners when they respond to some of my classic titles like Structures or Dreamtime that those were all created on what would be considered very archaic, very simple equipment at that time. There’s this sense that I wanted to defy the technology all the way along. It really didn’t matter what I was using; I would use things that people would come back around and say, “You used that? To create that? Recorded that on a four-track or a cassette player?” I have a lot of pieces that were recorded on a Nakamichi cassette player, and captured at that level. That’s basically the multifaceted question towards a younger composer of today.